innovation programme under grant agreement No. 764545. Turbomachinery optimisation enabling flexible back-up power for the European energy transition. as we transition towards renewable energy sources. 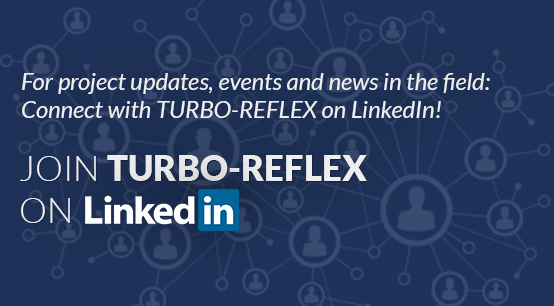 TURBO-REFLEX is a project which provides technology upgrades to retrofit the installed power plants to enable flexible operation without penalties on life, cost and emissions. The project unites the major European manufacturers, renowned research partners and end users to implement the roadmap and provide technologies for extremely flexible operation, reduce the minimum load, increase the ramp rates and reduce the costs per cycle. For a more flexible operation of thermal power plants (without plant life or cost penalties), the individual technology component improvements are complemented by new sensor and monitoring technologies which support Condition-Based Maintenance and Repair as well as optimized operation. Evaluated on plant level, the flexibility improvements, as well as the impacts on performance, life and cost, will be the basis for the subsequent implementation of the technologies in the existing thermal power plant fleet. components / technologies which can be retrofit to the existing fleet. TURBO-REFLEX aims at individual products and services being ready for market introduction within approx. two to three years after completion of the TURBO-REFLEX project. These are complemented by new approaches to enable online plant monitoring and analytics and a whole plant performance assessment.